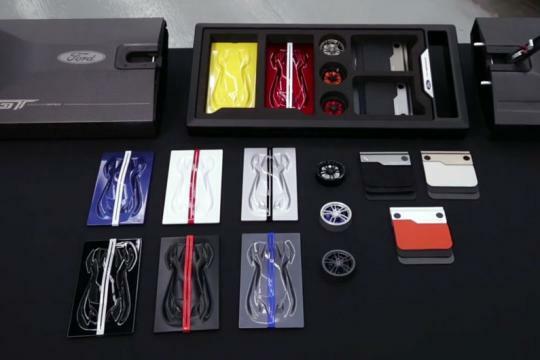 Once chosen, each and every soon-to-be owner gets a Ford GT Order Kit to help decide how to outfit their car. John Hennessey of Hennessey Performance Engineering is one of the lucky few to have secured a build slot and he's shared his Order Kit unboxing experience with us. It's a very special process indeed. 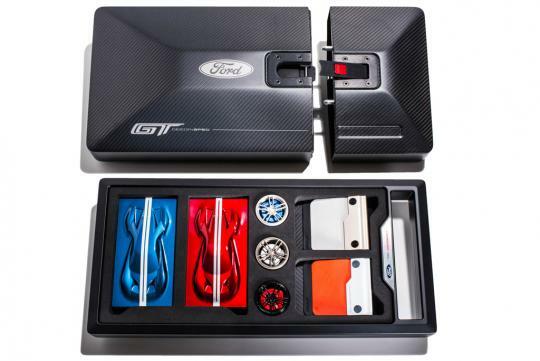 Foremost, the box the kit is enclosed in looks to be pure carbon fiber, embossed with the Ford logo on the outside. A small clasp then opens up the true goodies. Inside, Ford supplies soon-to-be-owners with the possible paint and stripe configurations, interior combos, and various wheel finishes available for the GT. 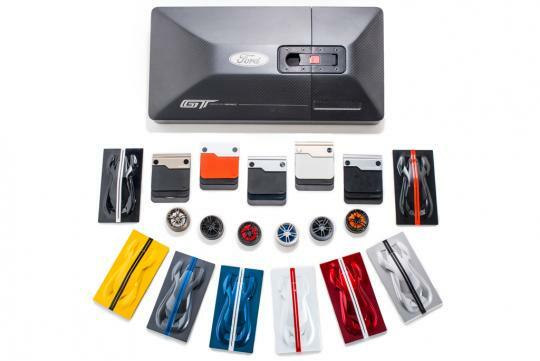 In total, eight paint swatches—finished over small model-like recreations of the GT—six different wheel and brake combos, and six interior finishes are all present. Talk about a personal touch; it doesn't get more personal than having customer choices shipped to you before production. Hennessey and three of his four sons sit and ponder the possible creations, but ultimately, it's going to take a little more time before a final decision is made. Hennessey says he has until the end of June to officially place his order and that his GT will be built during the fourth quarter of 2017. We're positive he'll be back to share more details about his car when it finally arrives, and what mods he has planned. 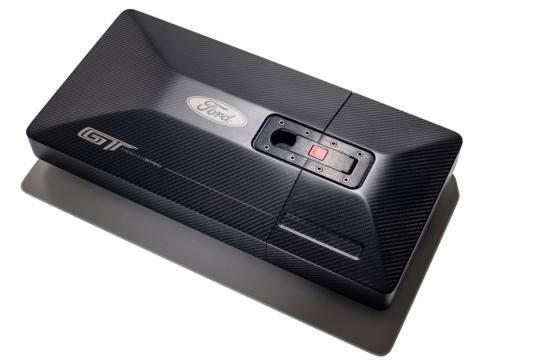 Incidentally, Hennessey isn't the only tuner awarded a build slot for the GT. Another is Jack Roush of Roush Performance and just took delivery of his car on Friday. if only a hyundai or Kia also go this route but digitise it like a Need for speed configuration option, that would certainly help pump up the mood of buying a car. Add in a tie up with a rim distributor and a after mkt spring dealer and a LTA approved EXOS dealer and you dont even need to spend much. Only need them to self sponsor their bit. Then load the order via the web, save some transaction time including the loan apps and the insurance.